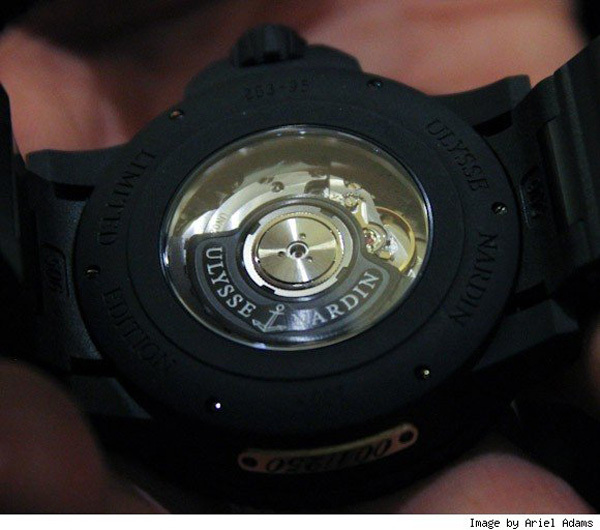 After successfully selling high-end luxury watches, cell phones and smartphones, Ulysse Nardin has decided to take the route of taken by many of their competitors. However instead of a full-fledged flagship store by themselves, they have picked a existing dealer Bobby Yampolsky owner of East Coast Jewelry to start and run the Ulysse Nardin Boutique at the Boca Raton Town Centre Mall, South Florida. 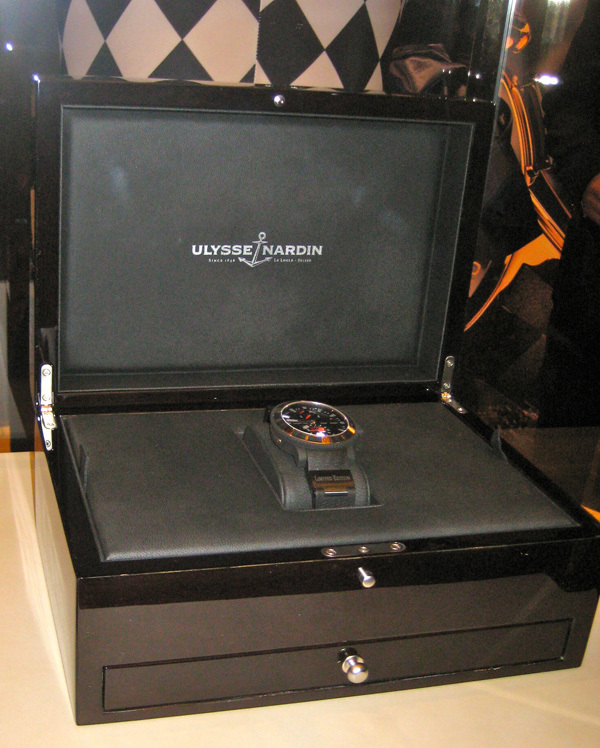 Inviting his VIP client list, the Ulysse Nardin boutique opening party was as much for the Boca Raton area mall visitors as it was for the high-end watch buying clients. Bobby was clever to not only have the opening party in the middle of the mall, but also to do it during prime holiday shopping time when the mall floor would be well-populated. The attendee list included a healthy volume of existing Ulysse Nardon brand owners. Sporting their prized watches, the richest of the bunch brandished the Freak. Highly innovative for its time, the Freak is a watch first debuted in 2001 by Ulysse Nardin with a bottom price close to $100,000. The boutique also contained a pair of Ulysse Nardin Royal Blue Tourbillon timepieces, a newer watch with a retail price of $1,000,000. 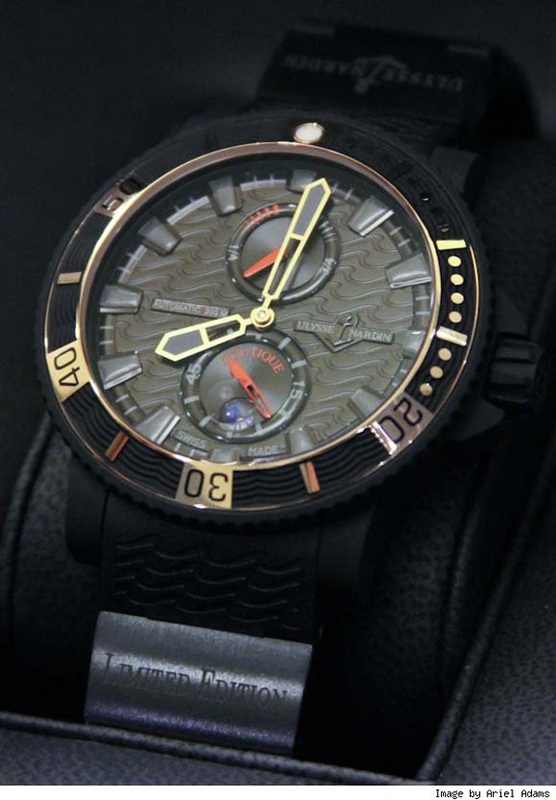 And to commemorate this new venture, the company launched the limited edition Ulysse Nardin Maxi Marine Diver Boutique Watch. 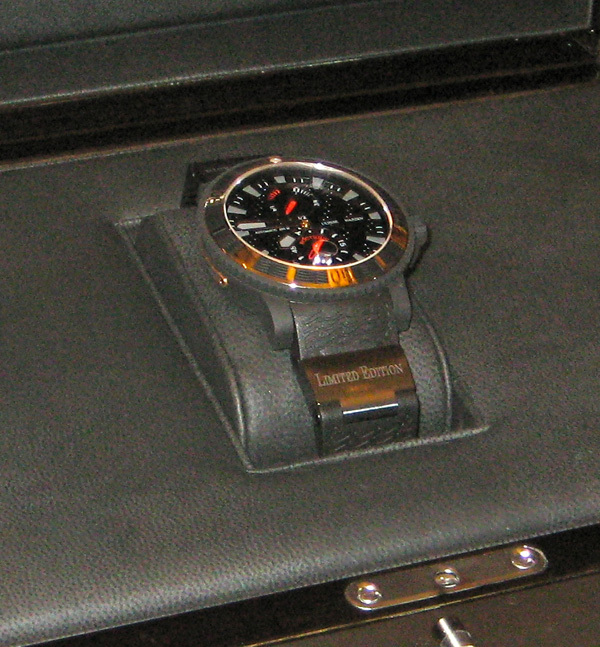 In titanium with an 18k rose gold bezel, the watch is interesting for being mostly covered in black vulcanized rubber. A highlight of the Grand Opening was the auction, during which a Limited Edition Boutique watch, specially designed for the occasion with a retail value of $12,900, went to the highest bidder for $35,000. All of the proceeds from the sale will benefit the Boca Raton Regional Hospital, Ulysse Nardin’s nonprofit partner for the evening. Ulysse Nardin’s exclusive timepieces are each handmade, produced by about 250 craftsmen in the company’s Switzerland factory. 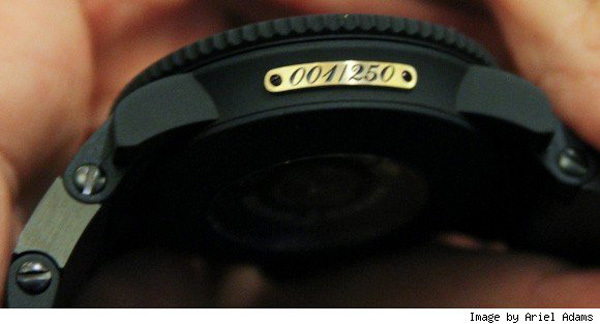 Only 20,000 watches, which are priced from $5,900 to $1 million dollars, are produced each year.